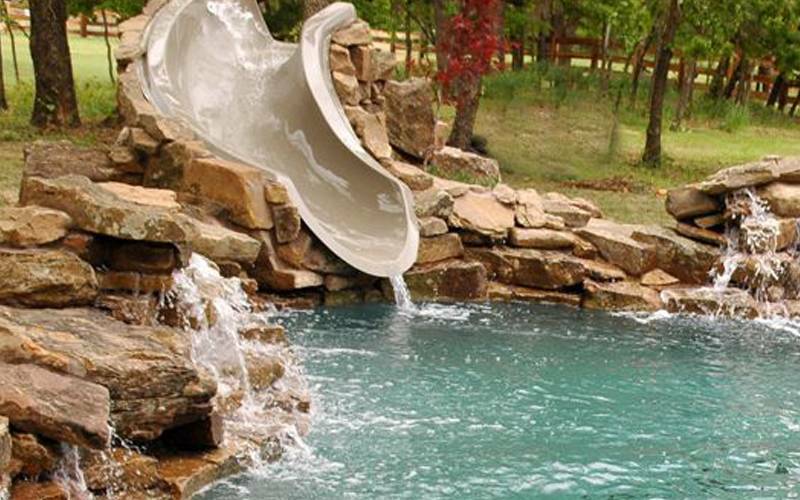 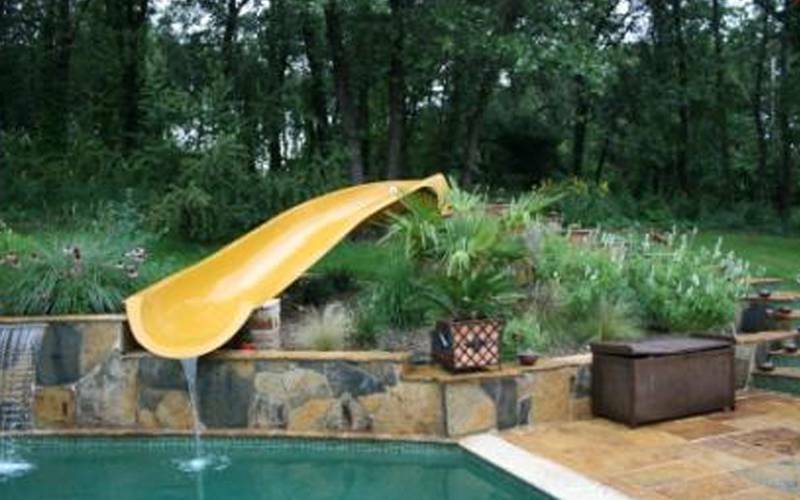 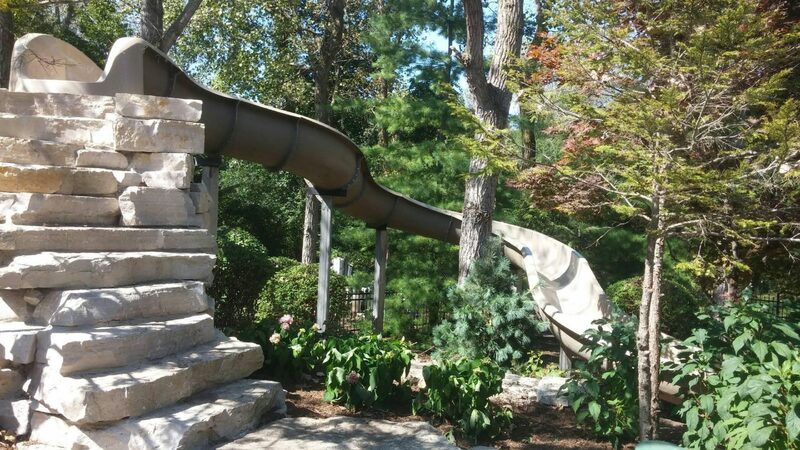 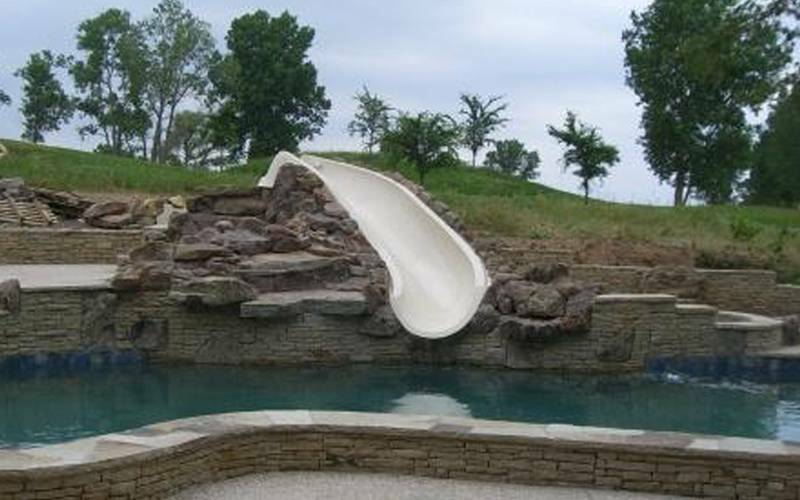 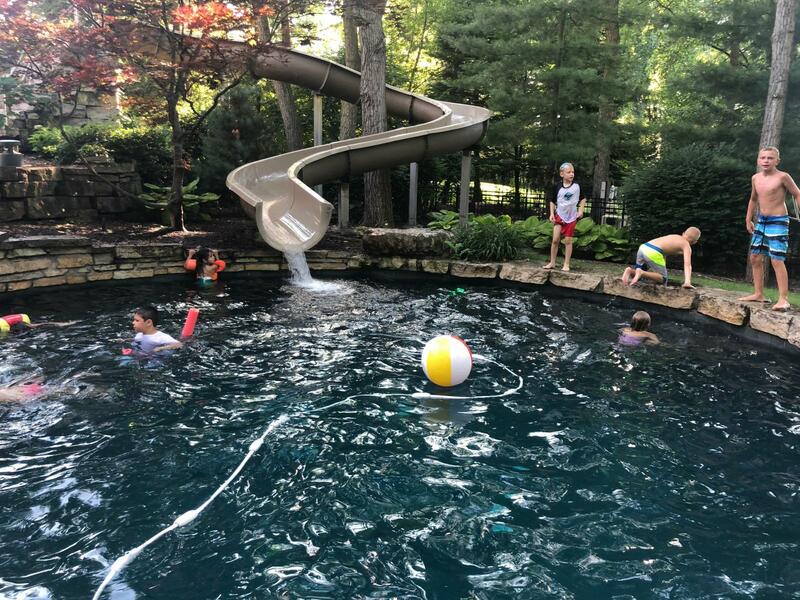 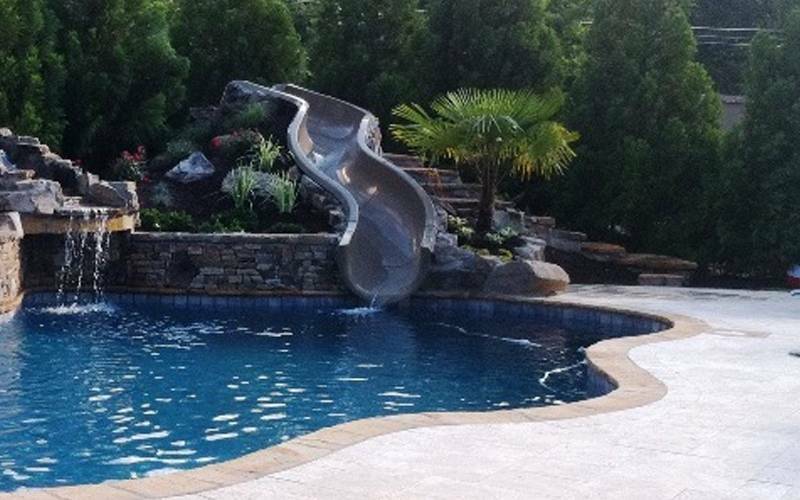 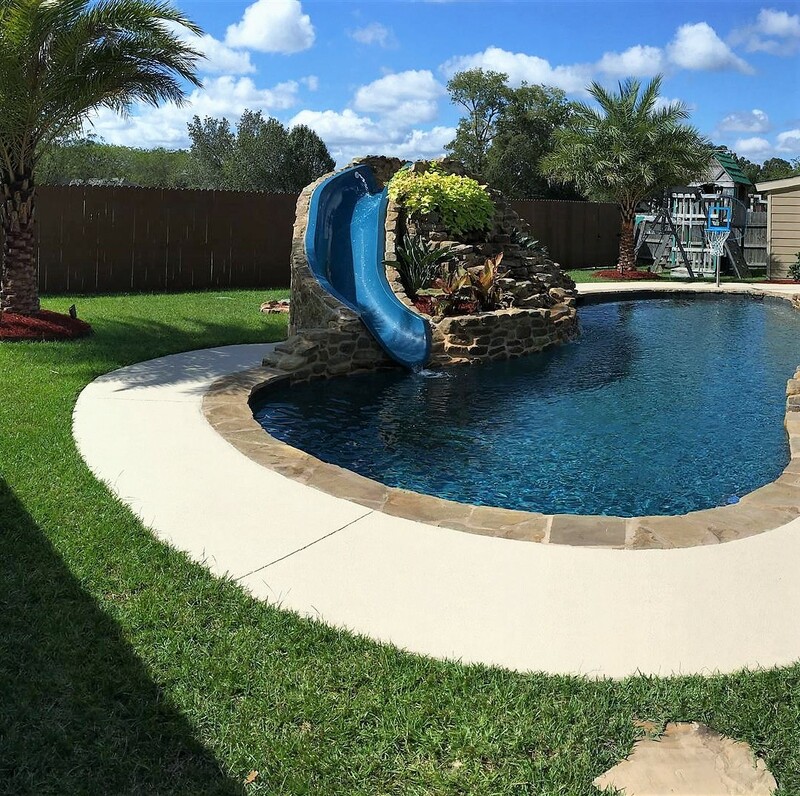 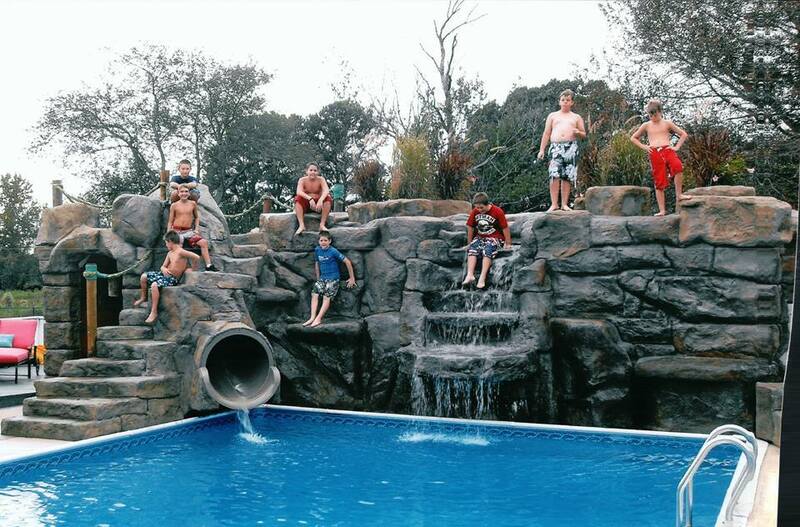 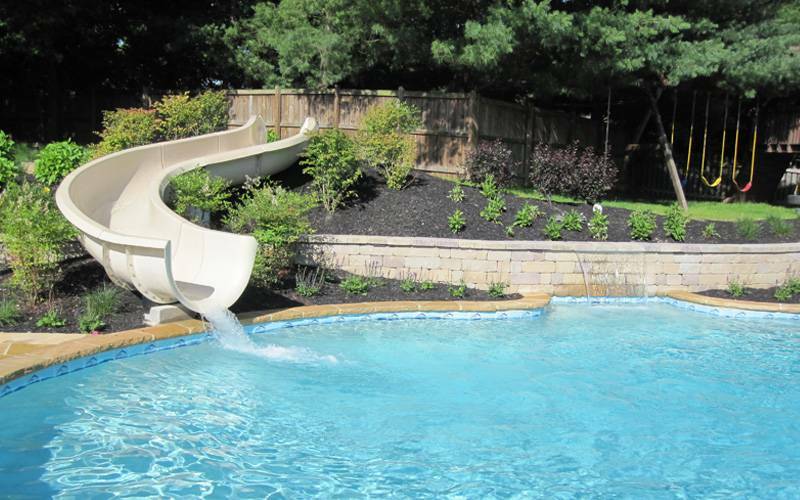 Custom Pool Slides; Fiberglass Residential Water Slide | Dolphin Waterslides, Inc.
Dolphin Waterslides has made countless customers happy with a custom in-ground pool slide specifically designed and installed to match their pool. 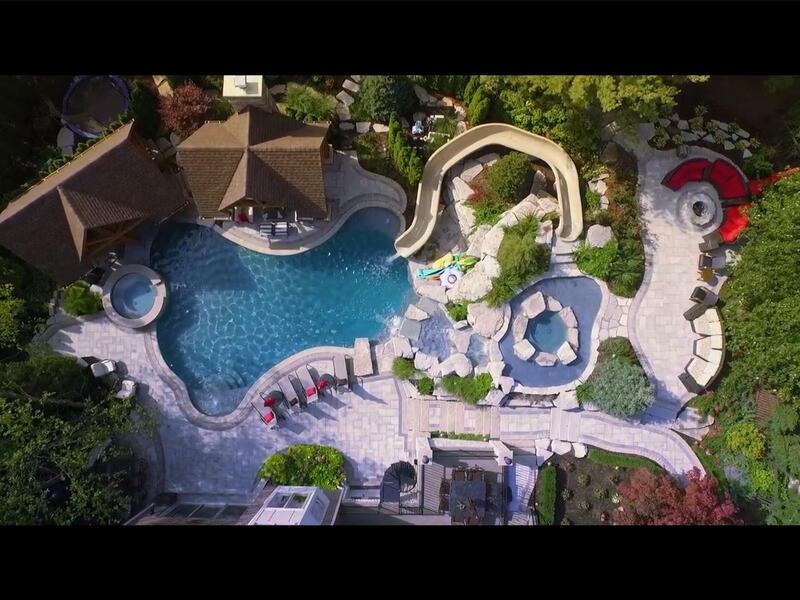 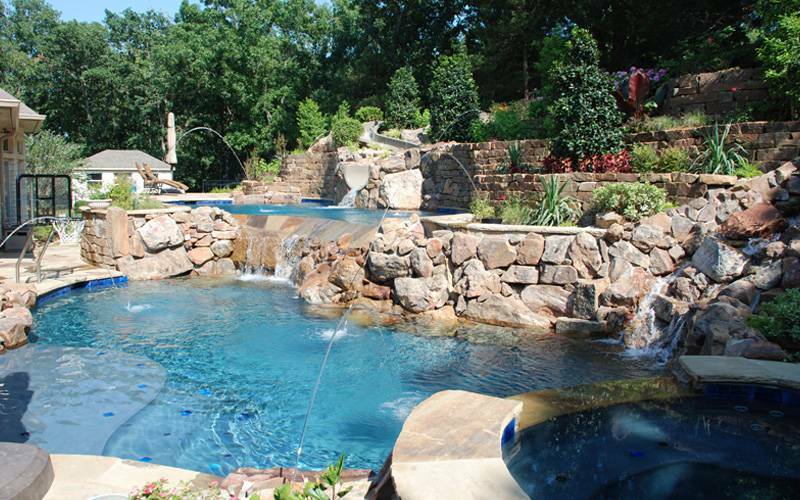 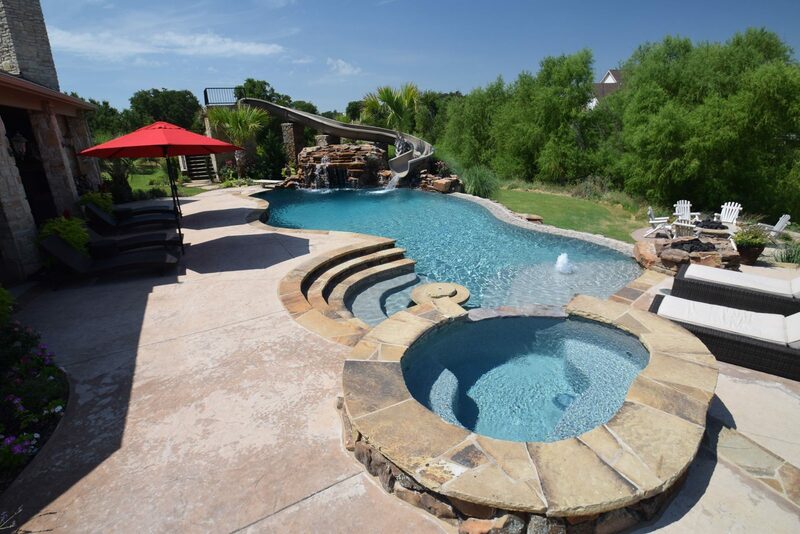 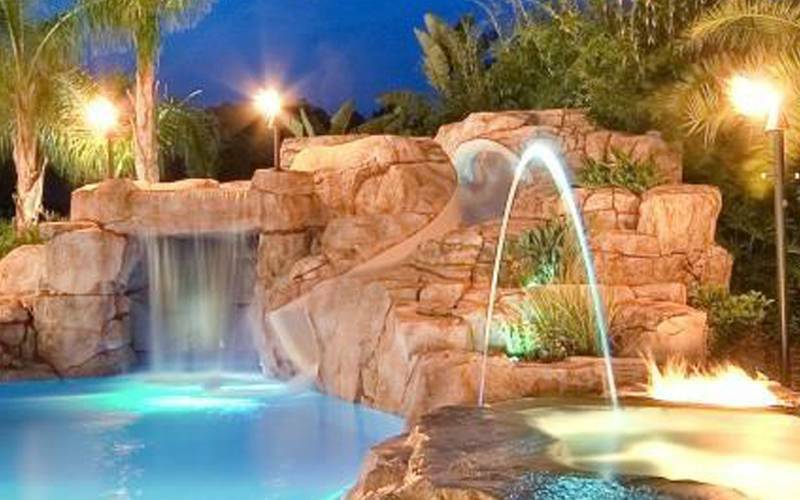 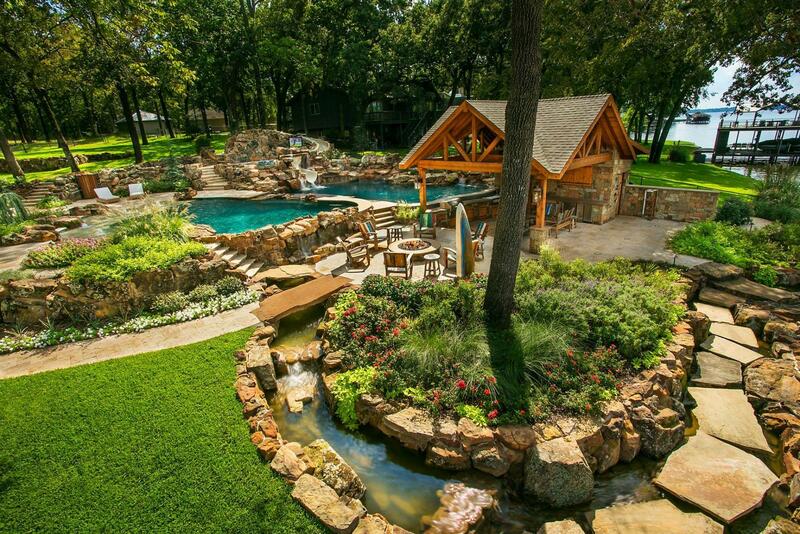 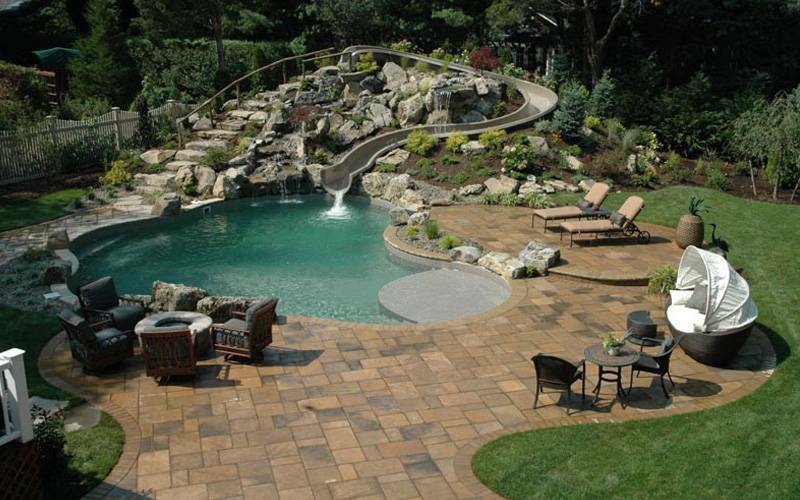 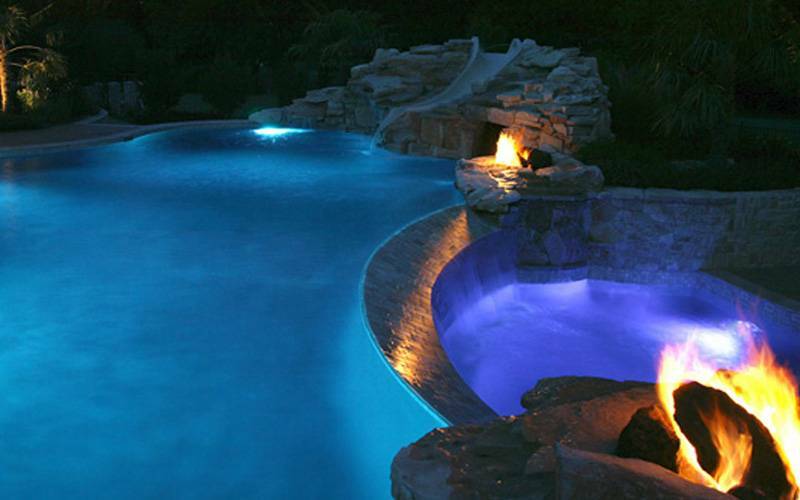 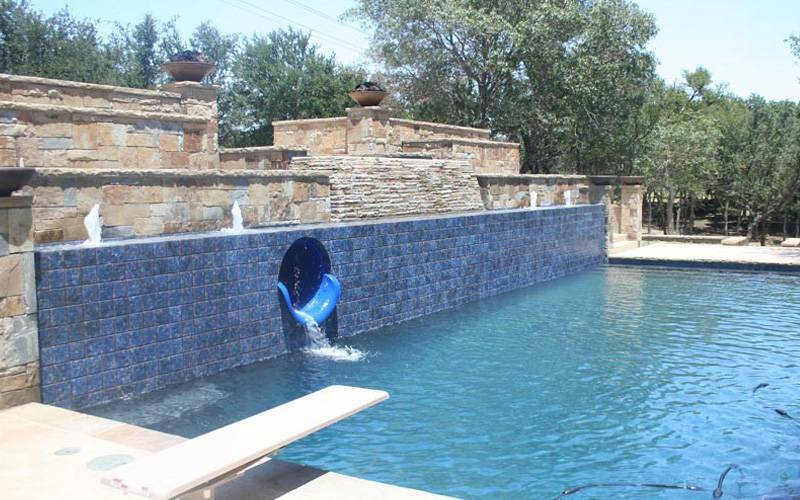 With years of experience and a large portfolio, we are confident we can help turn any pool into a truly unique and special experience for your family and friends. 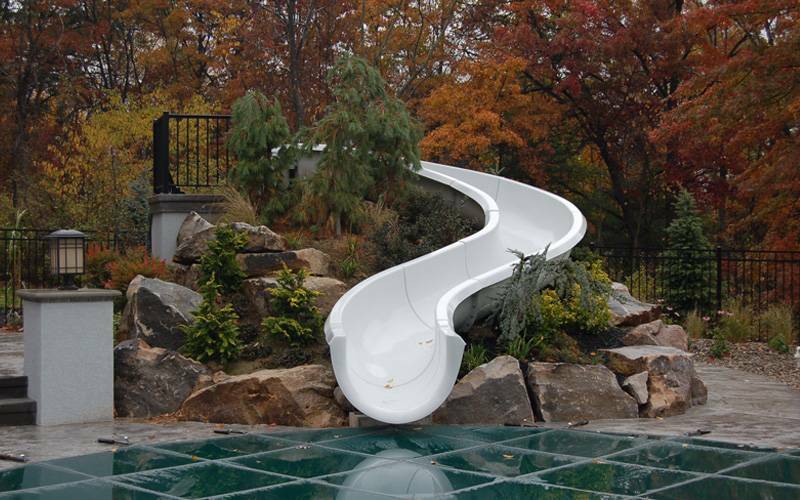 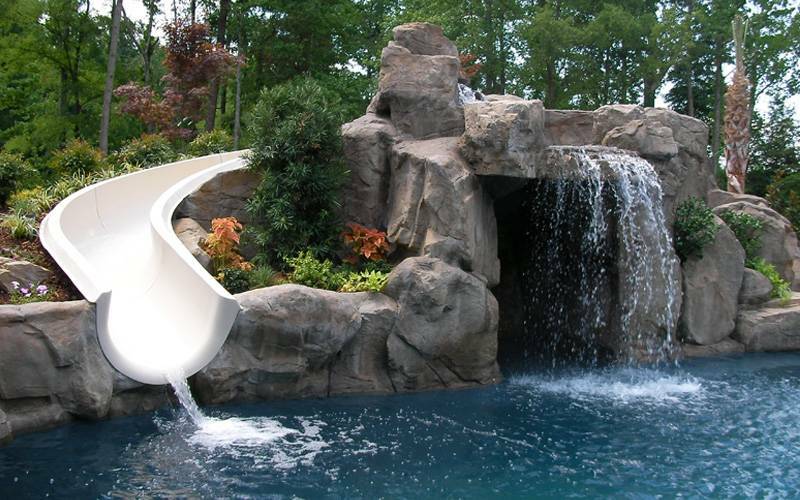 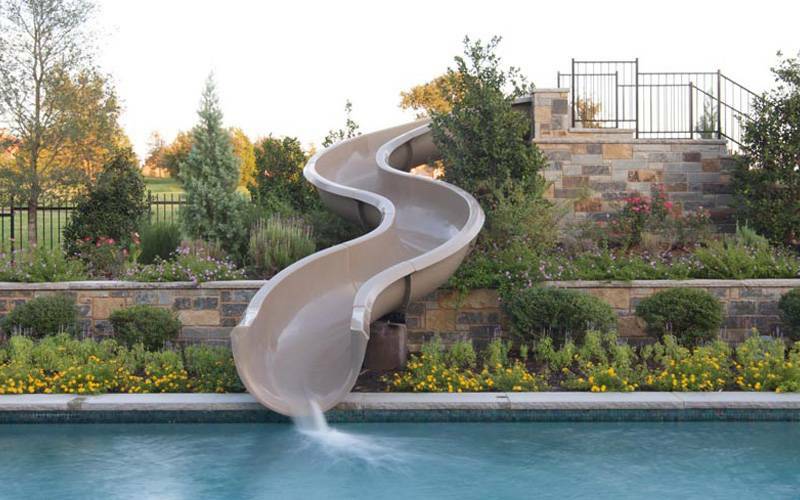 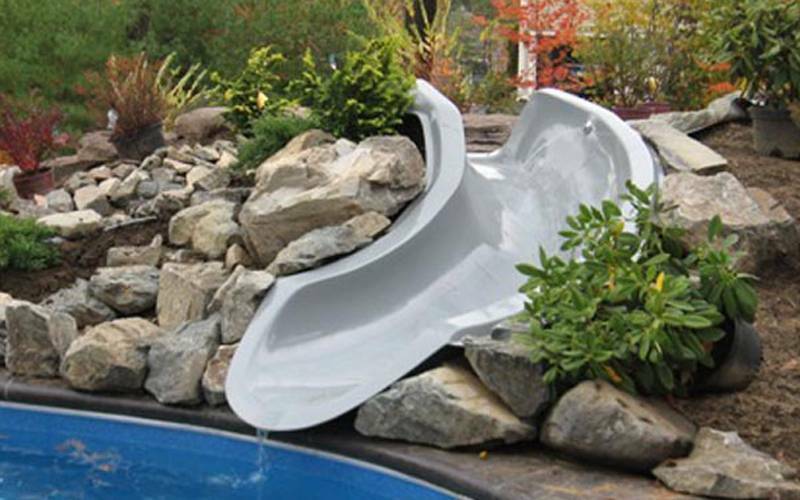 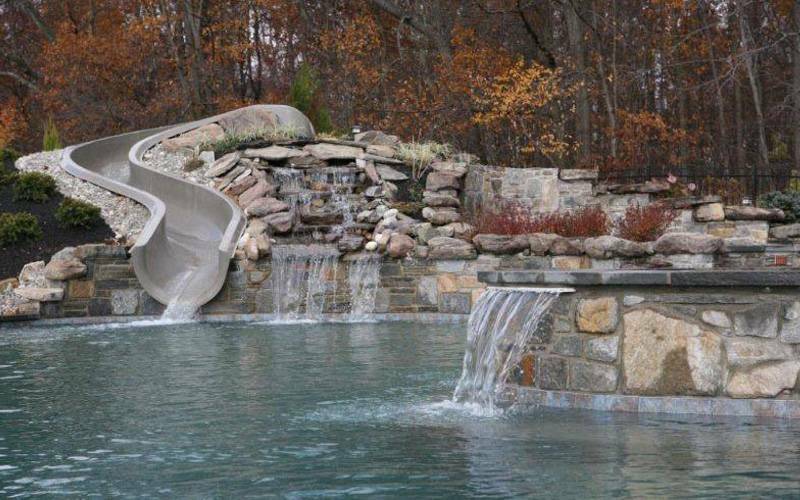 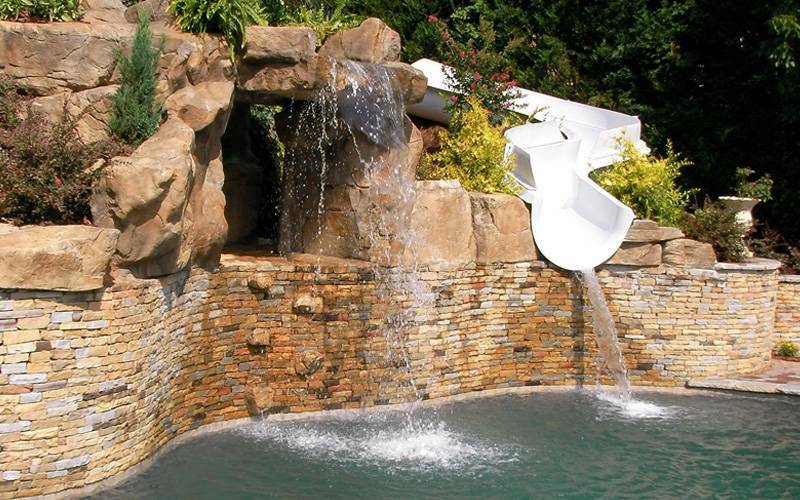 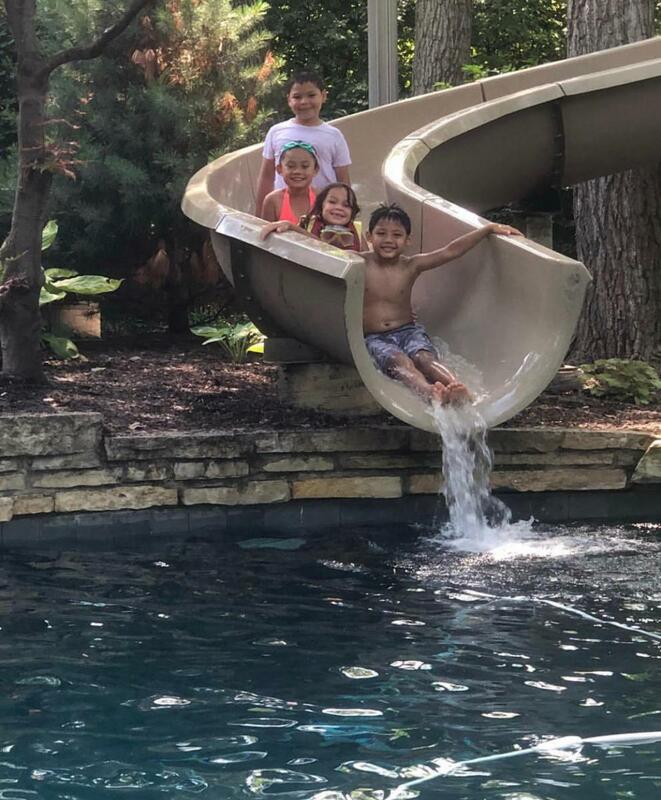 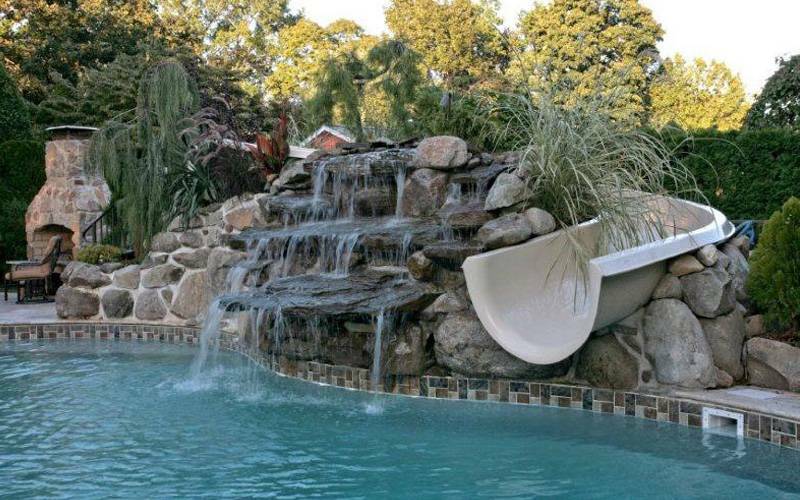 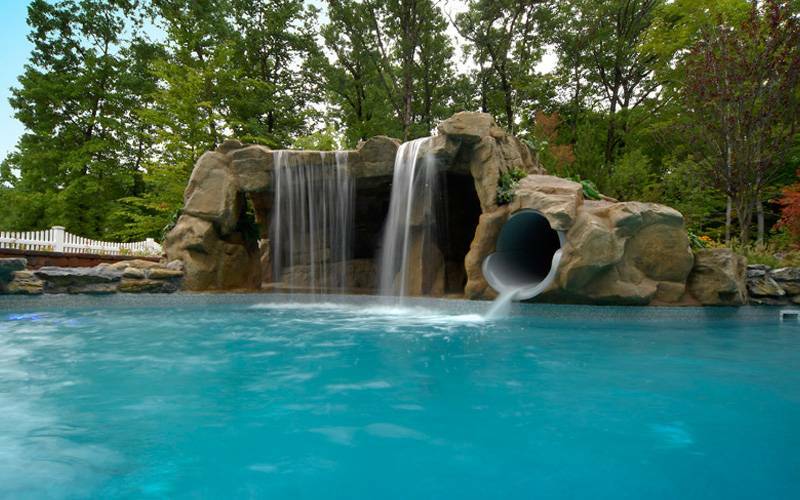 From single piece water slides to pre-designed model slides, to 100% custom designed slides; we are committed to providing our clients the very best in custom fiberglass pool slides. 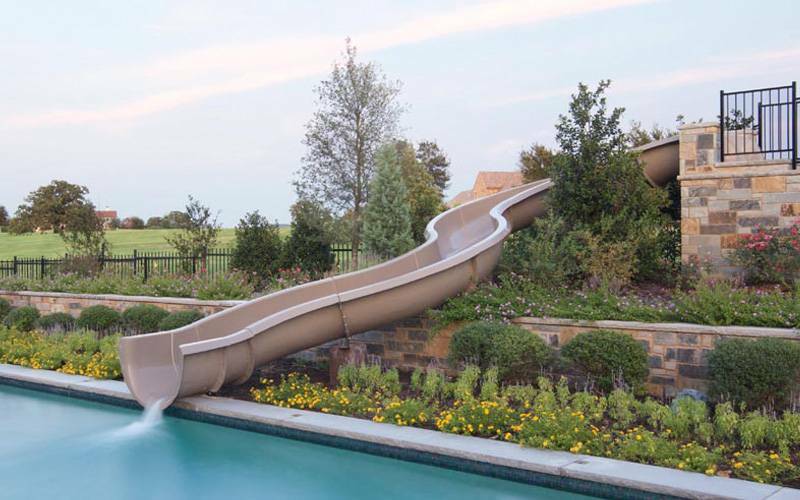 With marine-grade gel coat and high-quality fiberglass materials; your residential water slide will give you a thrill for many years. 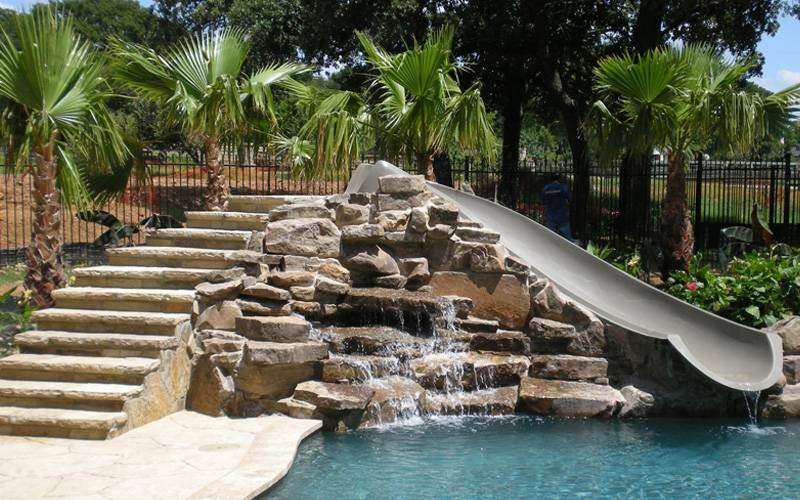 Each custom slide is made with the first layer of marine-quality gel coat, complete with UV additives to prevent fading. 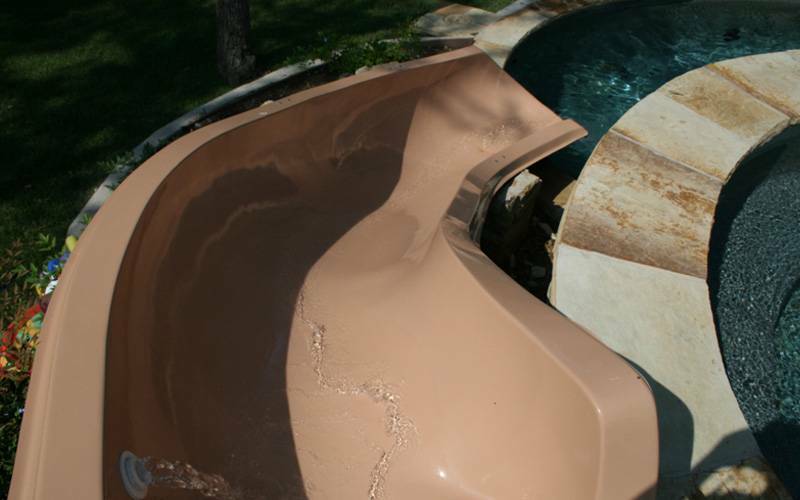 We only make slides with extra-strength layers of chopped fiberglass and 100% resin to ensure a sturdy, long-lasting product. 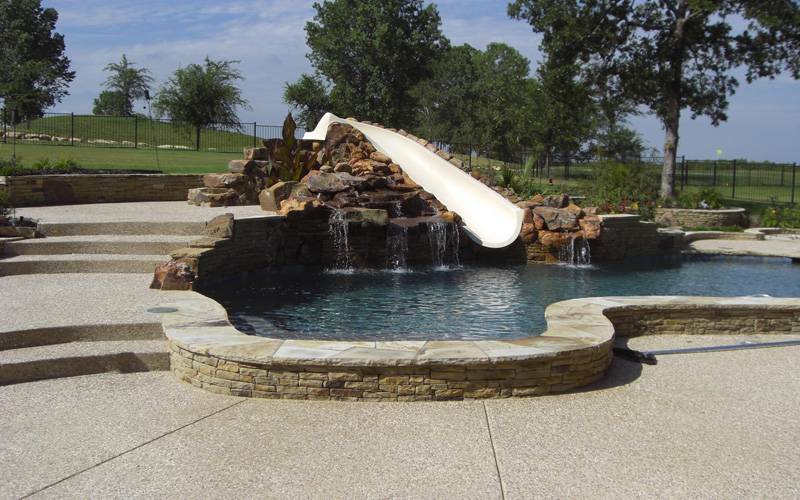 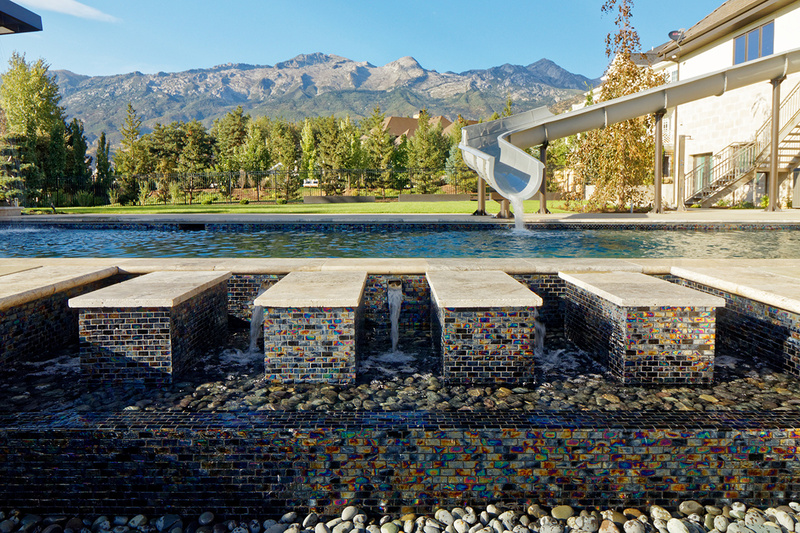 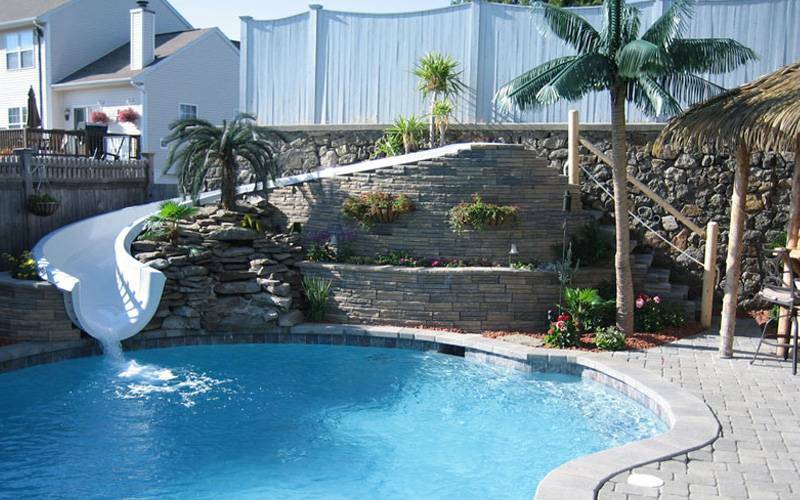 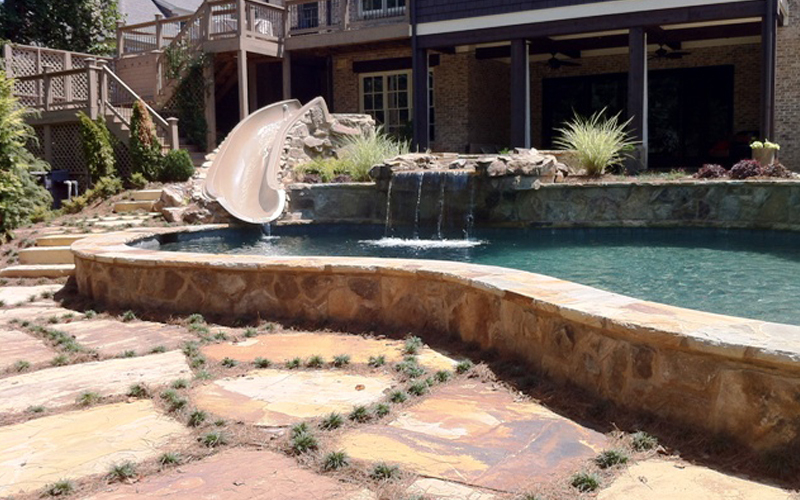 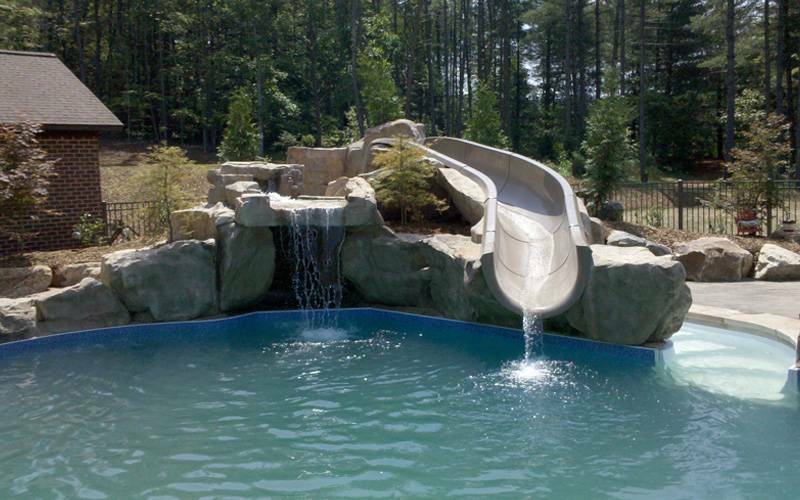 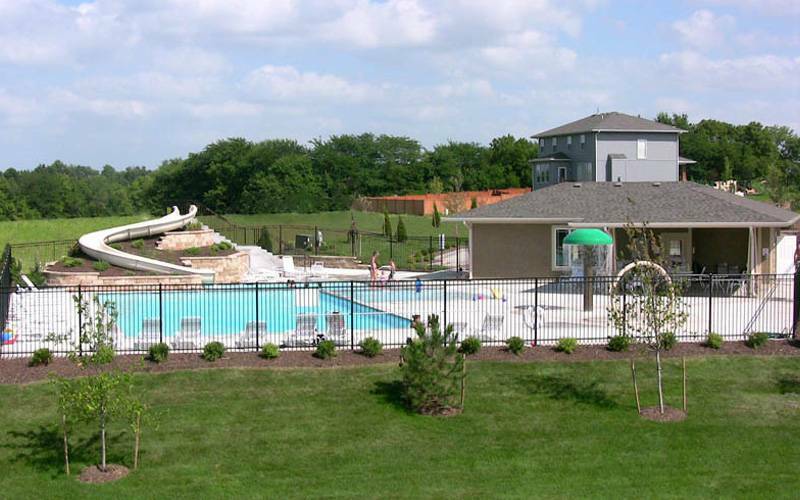 Browse through our portfolio to see how we can help you with your next pool slide project. 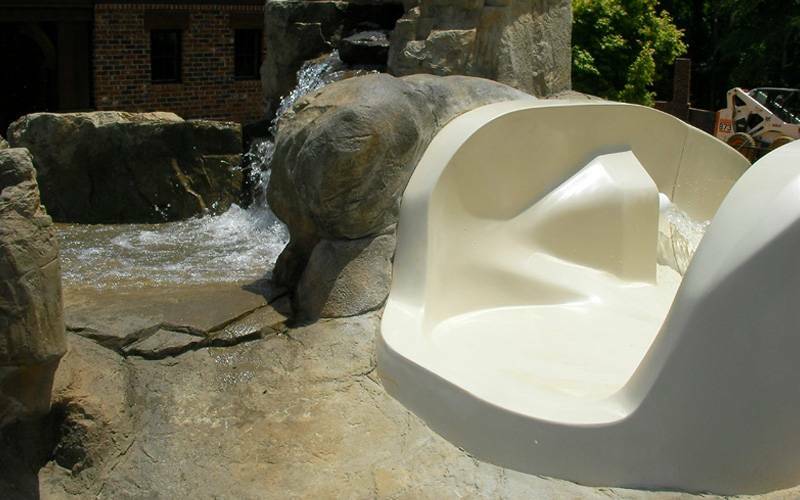 To request additional information, contact Dolphin Waterslides today. 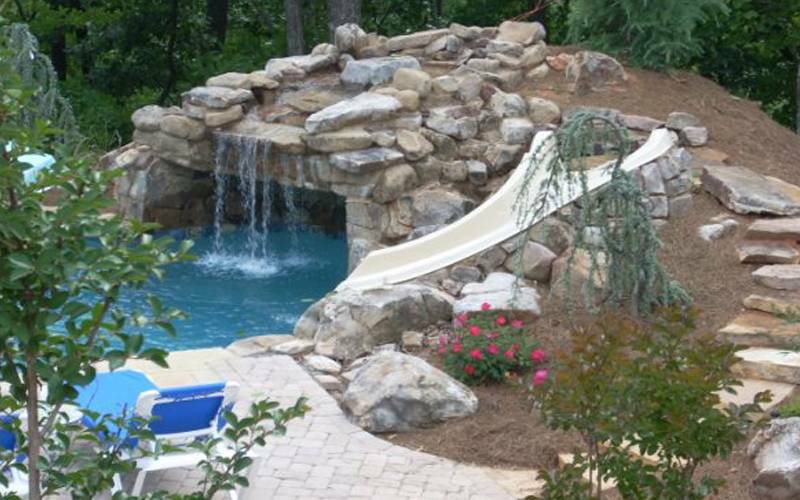 One of our Most Popular Pre-Designs! 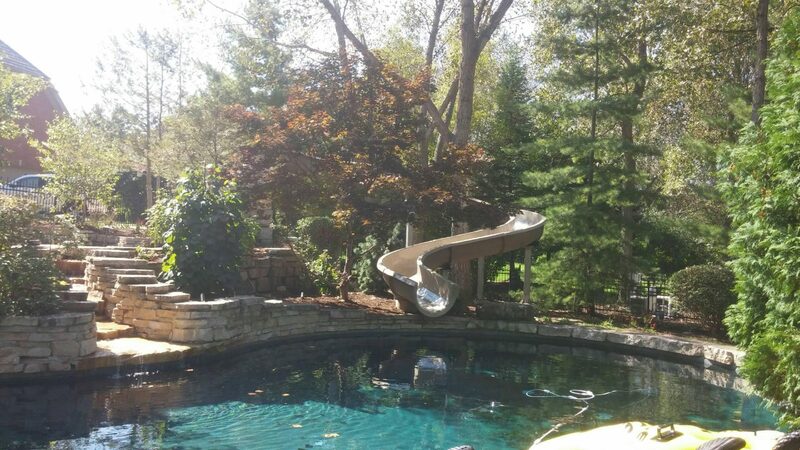 32" Custom Slide by Freeman Homeowner. 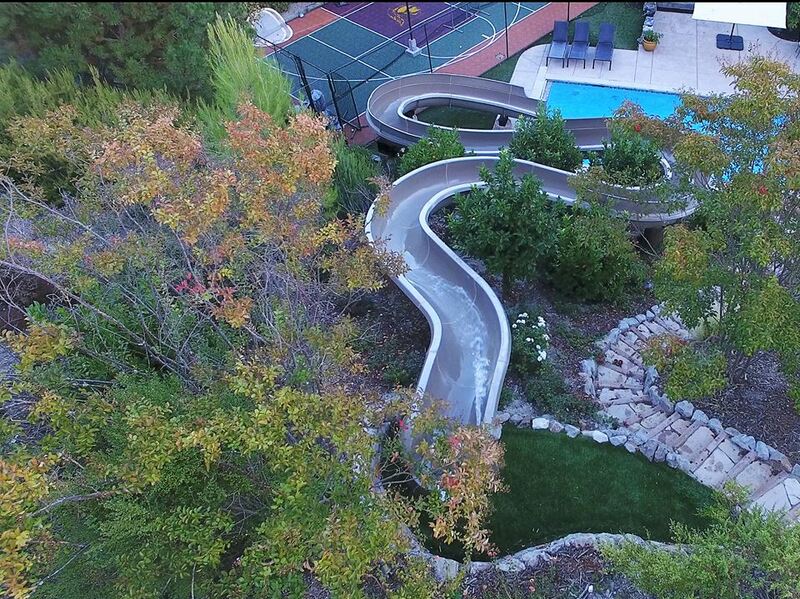 Super Fun and Fast enough for high walls! 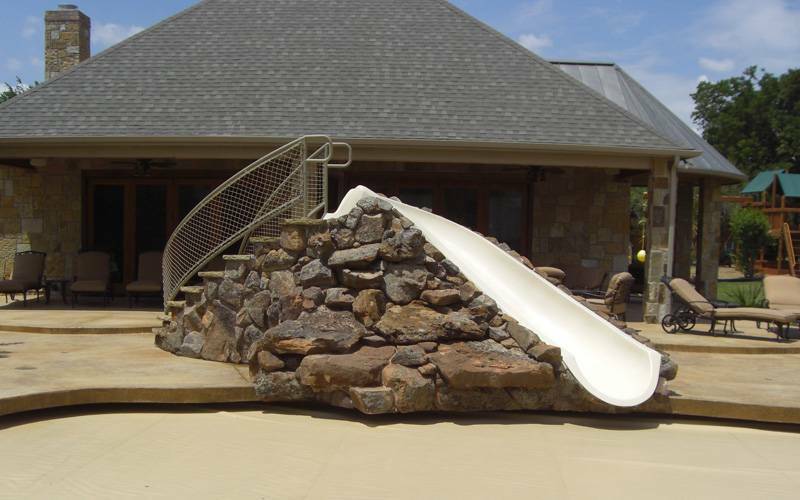 32" Custom Slide 46' in Length designed and installed by Mark Nash Construction and Benchmark Design Group. 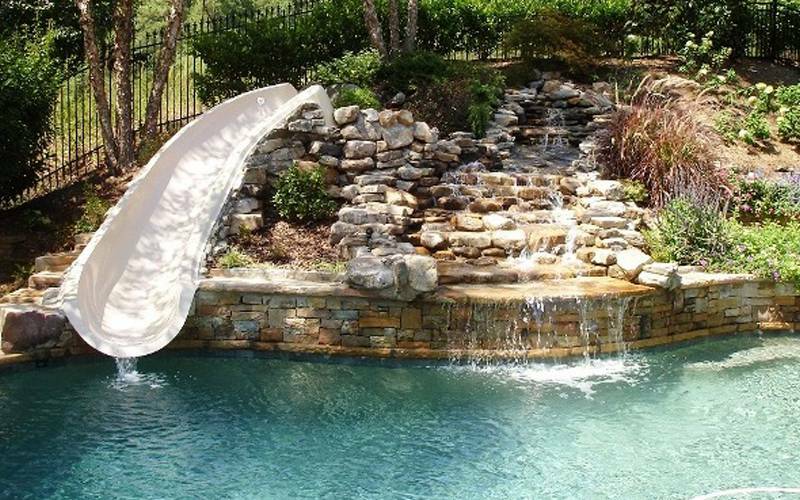 Breathtaking Art AND Extreme Summer Fun All in One. 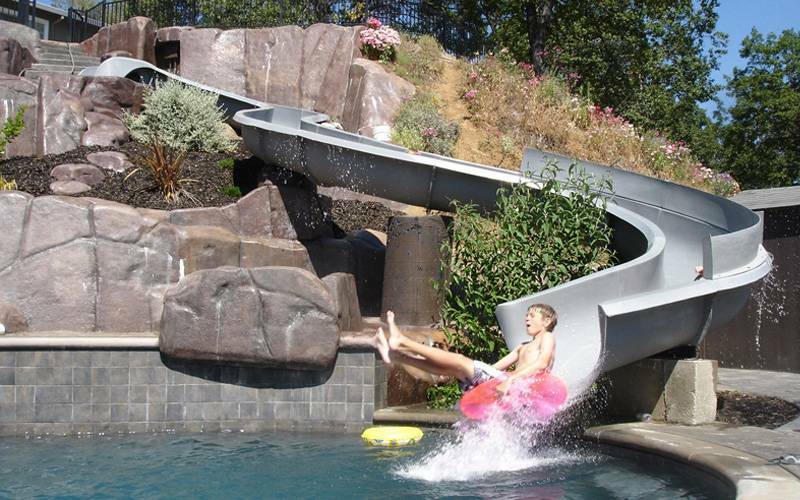 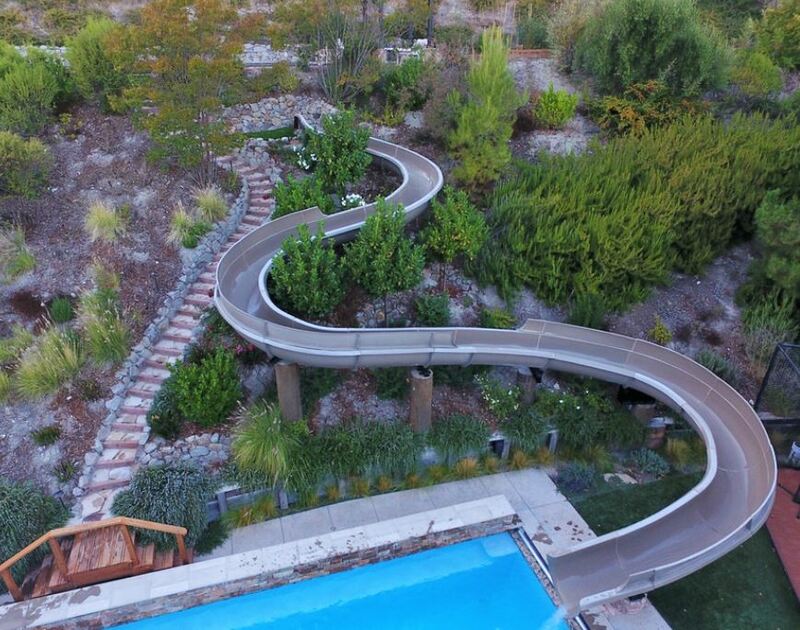 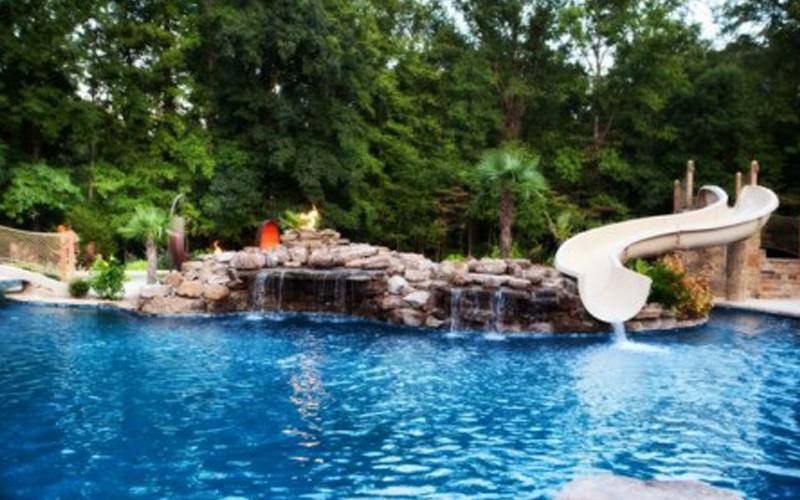 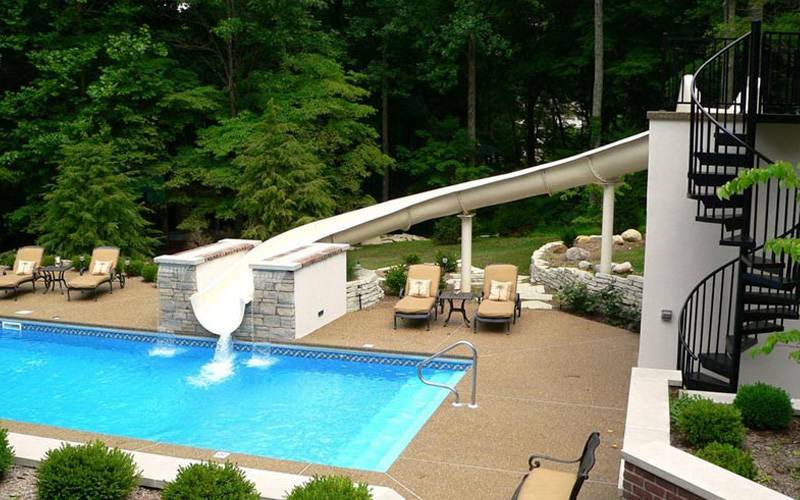 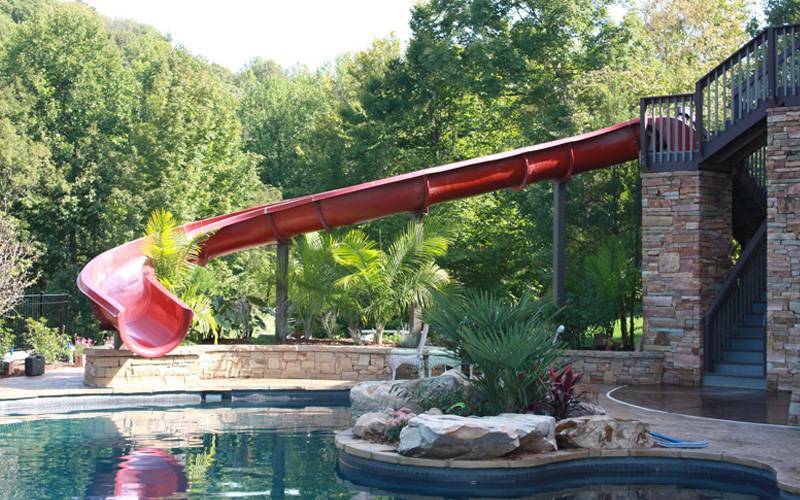 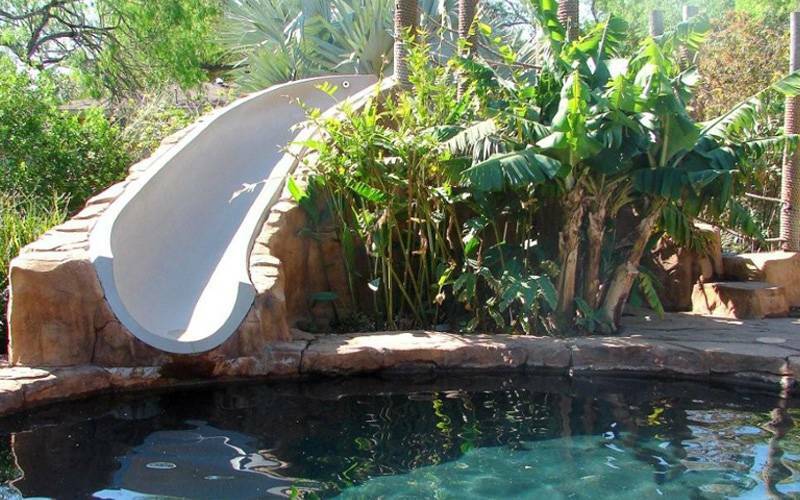 15.5' Dolphin Slide Right Turn - Designed Outdoor Living by Thomas Burkhardt. 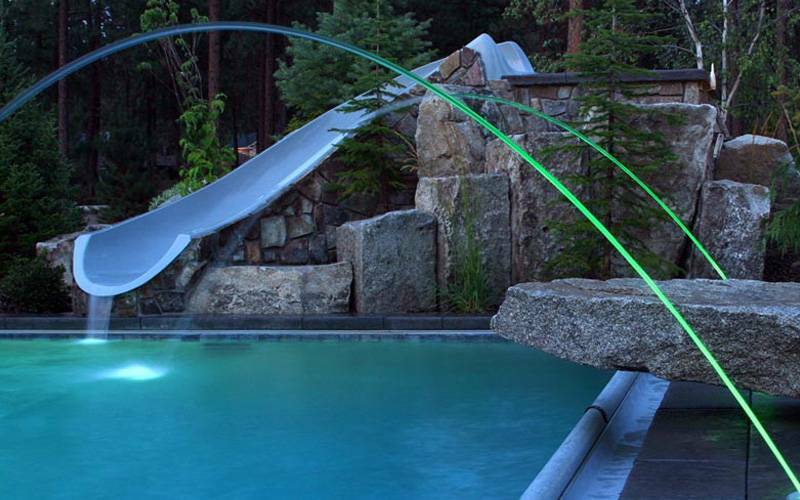 A beautiful night shot of what Claffey Pools can do with a simple 15.5' Dolphin Slide!